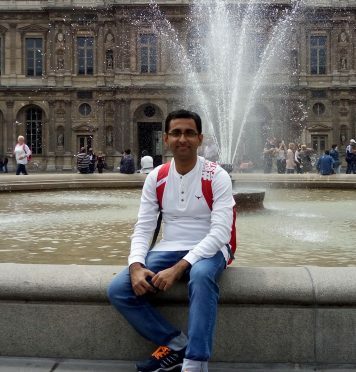 About the Author: Supratik Sarkar, a student of Jadavpur University, shares how he grabbed his dream quantum optics internship and got to work in Paris, the city of lights. I had always been interested in physics and general science but lost my way into engineering. Wishing to break free from the vicious cycle of engineering and researching into my areas of interest, I decided to make good use of my summer vacations. Summer internships not only add to the research skills in the resume and open doors for getting admissions in reputed colleges but also provide experience and rigors of working on a real-time problem, which can enhance our learning to a great extent. I was introduced to quantum computation and information quite early in college and the topic had gotten me hooked up instantly. I had constantly been following lectures on quantum optics by Prof. Immanuel Bloch and Prof. Wolfgang Ketterle on YouTube (available on MIT OCW), and I had fixed my mind on getting an internship in quantum optics. Thus began the months of preparing applications and resumes and applying for scholarships to pursue an internship. Germany and France were my primary choices, but I didn’t have enough grades for getting the DAAD scholarship (a scholarship for interns in Germany). So, I created a list of laboratories in France working on quantum information and quantum optics and started sending internship applications (my resume with a cover letter) to the professors I wanted to work with. After many rejections, I received an email from the Laboratoire Kastler Brossel (LKB) which was followed up with a short skype session with a professor seasoned in both theoretical and experimental quantum optics. I was asked about my motivation for applying there, my conceptual knowledge, and if I wanted to work in theoretical section or the experimental one. Within an hour, I received an invitation letter from the laboratory. Unfortunately, I hadn’t been selected for the Charpak scholarship which is given to interns in France, but since the lab was providing me a handsome stipend, I decided to go for it. Supratik’s journey is quite wonderful, isn’t it? Get moving and check out these cool physics internships that could be a turning point in your life. I will spread happiness with my first stipend! I REALLY ADMIRE HIS WORK , I WANT TO HAVE A BIT COMMUNICATION WITH HIM . SO, I CAN ALSO GET SOME IDEA ABOUT THAT , BECAUSE I AM ALSO HAVING MORE INTEREST IN QUANTUM OPTICS , SO, PLEASE HELP ME TO CONTACT YO HIM.